New Delhi: The Supreme Court has said that the Adani Group-promoted Mundra Port and Special Economic Zone (SEZ) Ltd in Gujarat has to submit a fresh proposal to divert forest land and cannot use an earlier request by a group company. Recently, the apex court had asked the state government to place a new application by Mundra Port and SEZ before the forest advisory committee (FAC), a body constituted under the Forest Conservation Act (FCA) to regulate diversion of forest land for non-forestry purposes. 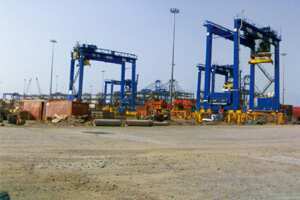 Diverting land: Mundra Port, Gujarat. In June 1998, the forest advisory committee rejected the initial proposal by Adani Chemicals to divert 2,400ha of forest land as the area had 1.9 million mangroves. Prior to that, the central empowered committee (CEC), meant to advise the Supreme Court on forestry-related issues, had rejected the proposal for diversion of more than 2,000ha of forest land for the Mundra Port and SEZ. The CEC report dated 16 July said: “The user agency (had) requested for forest land in an ecologically sensitive area for a site-specific activity, namely salt project." The request for diversion of forest land was first made in 1998 by Adani Chemicals Ltd for a salt project in Kutch, Gujarat. “Since the site-specific salt project has been given up... the request by the user agency (Adani Chemicals Ltd) for diversion of forest land as a part of the Mundra Port and special economic zone may be rejected." “We shall consider the new proposal when it comes," said an official at the ministry of environment and forests (MoEF), who did not want to be identified. “The proposal will be re-submitted to the concerned authority as desired," said the spokesperson for the Adani Group. The diversion of forest land—originally 2,400ha—was proposed in 1998 by Adani Chemicals. On 26 June 1998, the FAC rejected the proposal as the area had 1.9 million mangroves; coastal norms of the time did not allow such projects. Thereafter Adani Chemicals amended the proposal, reducing forest land from 2,400ha to 1,850ha by excluding land covered by mangroves. On 26 September 2002, the FAC recommended the diversion of 1,840ha of forest land for the salt project. After that, the MoEF granted in-principle approval on 13 May 2004, along with another proposal of Adani Chemicals for diversion of 168.41ha of forest land for a salt-washing and desalination plant and a container depot. Adani Chemicals then wrote to the MoEF in the same year stating that the salt project fell within the boundary of Mundra SEZ—which was renamed as Mundra Port and SEZ in 2007—and requested the ministry to make a mention in the approval letter that the diversion will apply to related land use permitted in the area. The MoEF then permitted Adani Chemicals to include the diverted forest land in the SEZ, which the CEC report said “was taken without placing the matter before the FAC". On 23 June 2004, the MoEF approved the change of name of the user agency from Mundra SEZ Ltd to Mundra Port and SEZ Ltd without placing the matter before the FAC, the CEC report added. Three years later, in 2007, Mundra Port and SEZ Ltd, wrote to the MoEF to amend the earlier approval to change the land use as per the master plan and the name of user agency to Mundra Port and SEZ Ltd from Mundra SEZ Ltd. It also asked the MoEF to phase out the payment of net present value, or NPV. NPV is the price of the forest land diverted for non-forestry purposes and has to be paid into a fund called Compensatory Afforestation Management and Planning Authority. The payment is mandatory except in certain cases of development such as schools and hospitals and for defence purposes. On the new proposal, the FAC on 27 March said: “...the proposed changed land use completely changes the scope and purpose of the original diversion approvals accorded by the ministry, thereby rendering the entire EIA (environment impact assessment) and other special reports...meaningless." However, after a representation dated 3 April to the MoEF by the Mundra Port and SEZ Ltd, the FAC reconsidered the matter once again though it had closed the matter earlier. This time around, the FAC approved the change of user agency without any new EIA studies. The CEC also said no reason for the change of stand of the FAC has been recorded in the minutes of its March meeting. Several other SEZs across the country are facing difficulties in acquiring land, mainly due to protests from land owners. GMR Group’s Kakinada SEZ, Andhra Pradesh Industrial Infrastructure’s SEZ in Visakhapatnam and Reliance Industries Ltd’s SEZ in Raigad, Maharashtra, have all run into trouble over protests from land owners. “I think the demand for large tracts of fertile agriculture land, especially in peripheries of upcoming cities, has brought into conflict agriculturists, peasants and land owners—if you look at the struggles, they are mostly from such areas. It is not just a farmer issue, because many SEZs, especially a port-based one such as Mundra, are looking at coastal areas...fishing communities are also in the picture," said Manshi Asher, independent researcher on social and environmental issues.